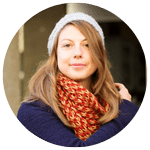 For this edition of the foodista challenge, Maman pâtisse set up a nice challenge for us this month. Bringing us in the south of Eutope, in a country where the food is simply delicious ! 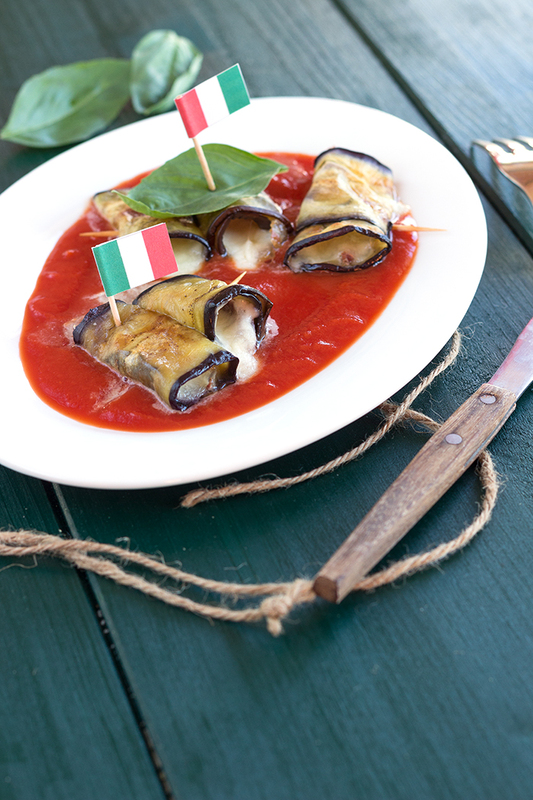 Italy, a country where dishes that are as original and as delectable as the next. A cuisine known all over the world. 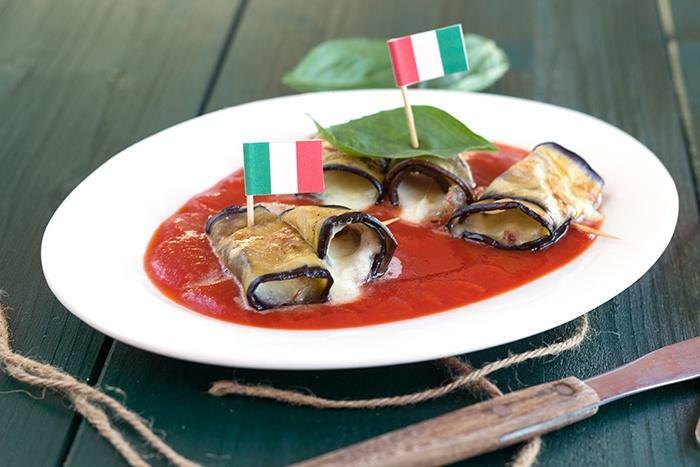 I love pasta and pizza of course, but italian cuisine is definitely more than that. 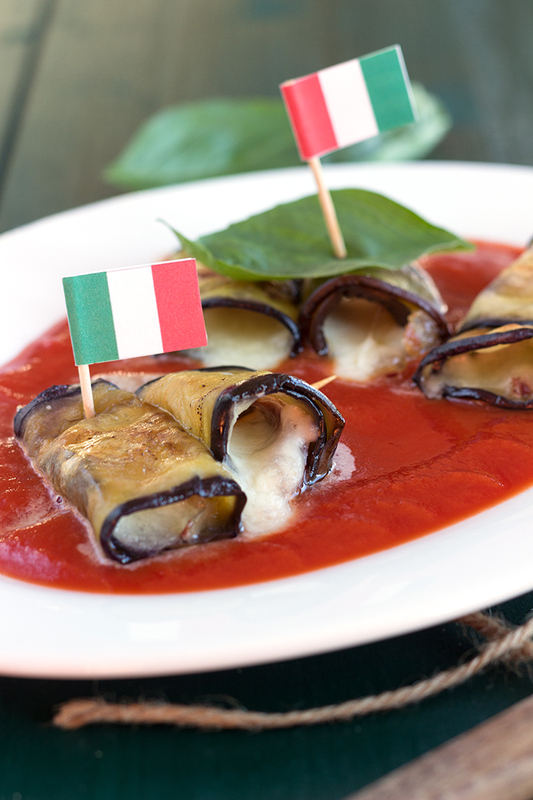 So today, I am glad to share with you a recipe that I truly find wonderful : Eggplant involtini. And to bring together 2 countries in the same plate, I added some Iberico ham to replace the traditional Italian Parma ham. Slice lenghtwise eggplants finely using a slicer or a mandoline. Place in a plate, add 1 teaspoon of sea salt, let them sweat for 1 hour up to 1 night. Heat 1 tablespoon of olive oil in a large pan, fry eggplant slices on both side and reserve. Put some shreds of spanish ham, a bit of mozzarella at the extremity of one eggplant slice. Roll and close using a toothpick. Place in an oven dish. Bake for 5 minutes and serve together with a tomato coulis.